Buy two bags of the same size and get one free! 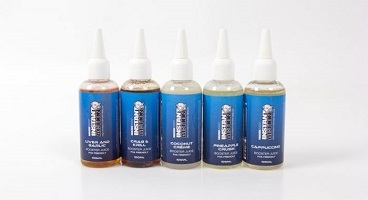 The most complex attractor package yet in an Instant Action recipe. 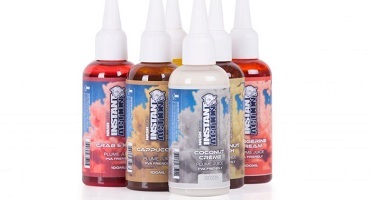 One of the most complex attractor packages yet in an Instant Action recipe, Strawberry Crush uses a blend of three strawberry attractors on different solvent bases, including a highly soluble ethyl alcohol strawberry, the famed Nash Strawberry Oil Palatant, and a traditional glycerol based flavour. Combined with Scopex No.1 the result is a rounded, rich fruit bait that releases a timeline of attractors in all temperatures and is a proven cold water winner. A pastel pink finish prevents spooking on hard fished venues that have seen years of bright baits, and mimics older washed out offerings that carp eat more confidently. 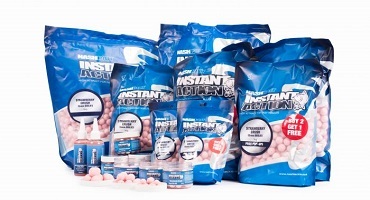 First trialled and developed by Kevin Nash back in the 90s this attractor package resulted in him hooking Snake Pit’s two biggest commons in four weeks after a four year blank before being fine tuned to become the basis of the deadly Amber Strawberry and then catapulted to fame through Jim Shelley’s catches. The proven Instant Action high leakage and highly digestible base mix is boosted with milk powder, low level tiger nut meal and completed with liver to boost results significantly. 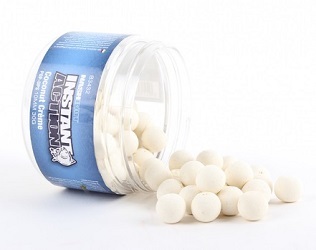 Two sweeteners including Talin with its taste enhancing properties finish this special bait with a beautiful taste – just like strawberry yoghurt!